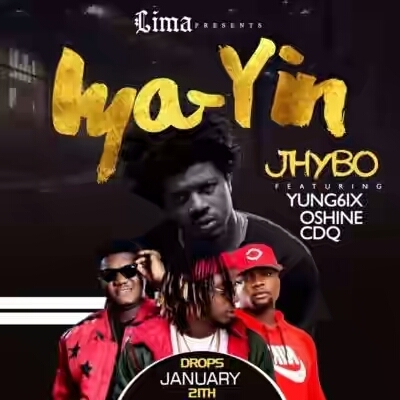 Jhybo kick starts with his razor sharp rap, followed by CDQ and Yung6ix intrepid unique flows, OShine, fearless then locks off the beat. Iya Yin is a sweet laid back trap beat fired up with the guys boastful and swanky lyrics . Produced by Snagxy & remixed/mastered by Africa’s leading sound engineer Swaps.